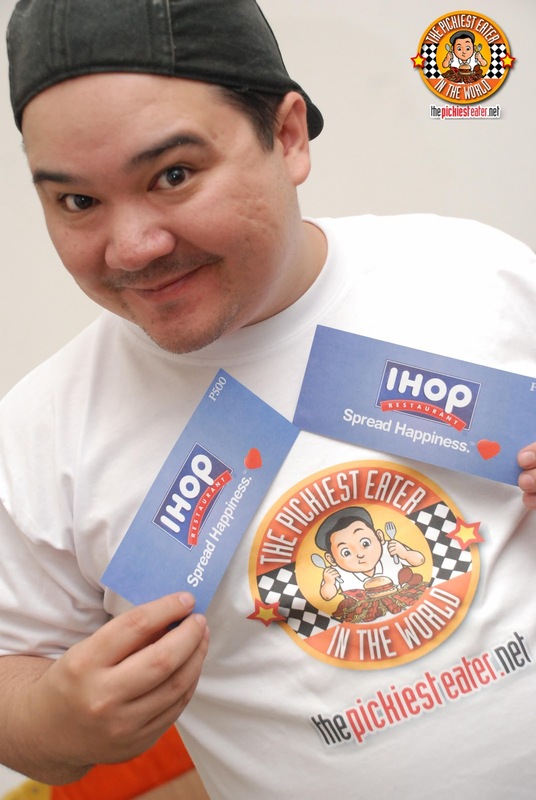 THE PICKIEST EATER IN THE WORLD: IHOP OPENS IN THE PHILIPPINES ON FEBRUARY 15 AT BONIFACIO HIGH STREET.. AND A GC GIVEAWAY! IHOP OPENS IN THE PHILIPPINES ON FEBRUARY 15 AT BONIFACIO HIGH STREET.. AND A GC GIVEAWAY! After being blown away by IHOP's pancakes during our first night at New York, I said a silent prayer that some day, they would take their phenomenal breakfast dishes to our shores. Well my friends, that day has come. On February 13, 2013, (while I was languishing in my office.. darn you day job!!) Rina took part in the press launch of IHOP, where they unveiled to the Filipino people for the first time, what their trademark Pancakes are all about. 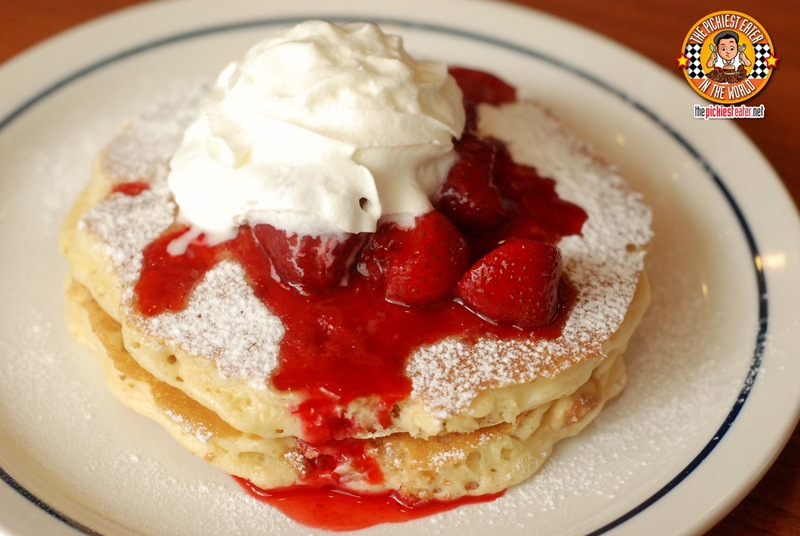 Rina's photos were enough to make my mouth water, and the good people of IHOP were kind enough to give her some GC's for taking part in their event. I'm still on the fence on what to do with their GC's... What do YOU think I should do with it? 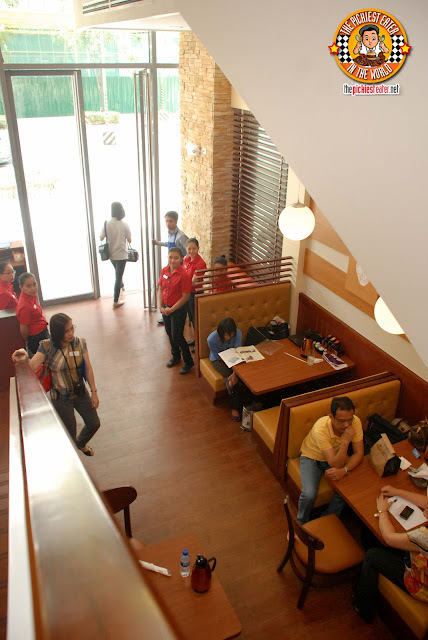 IHOP will officially open their doors to the public on February 15, 2013, at the W Global Center, Fort Bonifacio, Global City, Taguig. For me, this is the ideal location for the country's first IHOP to be at, because it's not too far from my home (Although I doubt that had very little bearing on their decision). 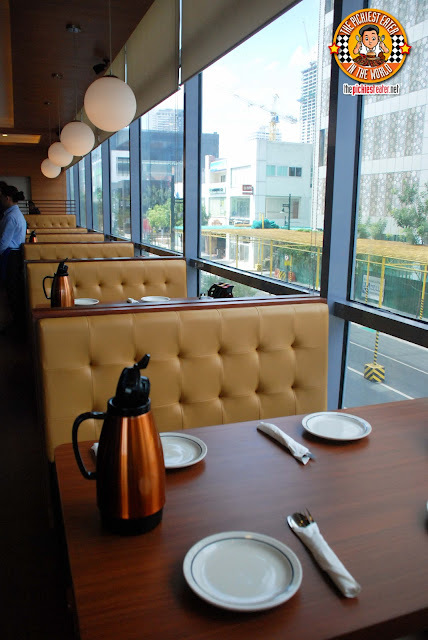 Rina said that interiors-wise, IHOP Philippines still had the same simple diner feel of the one we went to in 14th Street in New York, with a few modern touches. Bottom line, this is a place where you can feel relaxed and comfortable while reading the morning paper. Omelette with tender strips of steak, hash browns, fresh green peppers, onions, mushrooms, tomatoes and Cheddar cheese. Served with salsa. Rina said she liked this because it kind of reminded her of pizza (Isn't she so cute?). Fresh spinach, mushrooms, onions, and Swiss cheese, topped with rich hollandaise sauce and diced tomatoes. Rina actually believes I would like this, despite the presence of the spinach hehe.. She said the cheese and Hollaindaise sauce made this omelette a winner. Two fluffy buttermilk pancakes with creamy rich cheesecake pieces, topped with cool strawberries, powdered sugar, and whipped cream. Big chocolate chocolate-chip pancake with powdered sugar, maraschino cherry eyes and a whipped topping smile . Also available in buttermilk. Two crepes stuffed with Swiss cheese and eggs scrambled with fresh spinach , mushrooms and onions. Topped with rich hollandaise sauce and diced tomatoes. Though it was "Garden Stuffed", Rina said she didn’t really notice the taste of the greens because of the sauce, and believes this is something I'd enjoy as well. Two delicious crepes filled with a combination of fresh strawberries and rich, cream cheese, then topped with more strawberries, fresh banana slices, and whipped cream. Cinnamon raisin French toast with a sweet cream filling , crowned with whipped topping and your choice between cool strawberry topping, warm blueberry compote, or cinnamon apple compote. The Stuffed French Toast Platter is served with two eggs, hash browns, and your choice of either two bacon strips or two pork sausage links. Not enough bacon for me, but good thing you can order extra!! And just like P.F. Chang's, there were members of the IHOP American Staff that were flown in to train the local staff in how they do it in the States. In terms of Hospitality, I'm sure the Filipinos have got it nailed even this early on! 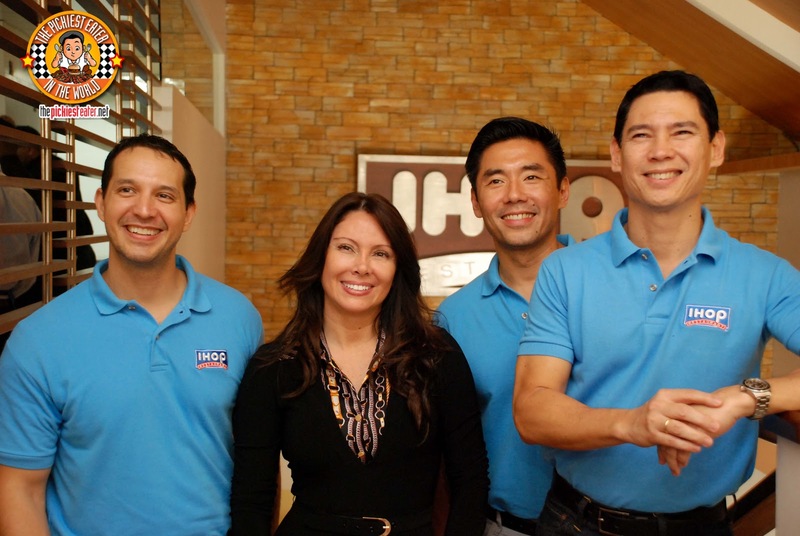 Archie Rodriguez, CEO & President of Global Restaurant Concepts, together with his partners that brought IHOP to the Philippines. On behalf of the Filipino nation, I have submitted a letter to the Vatican recommending sainthood for these four people. 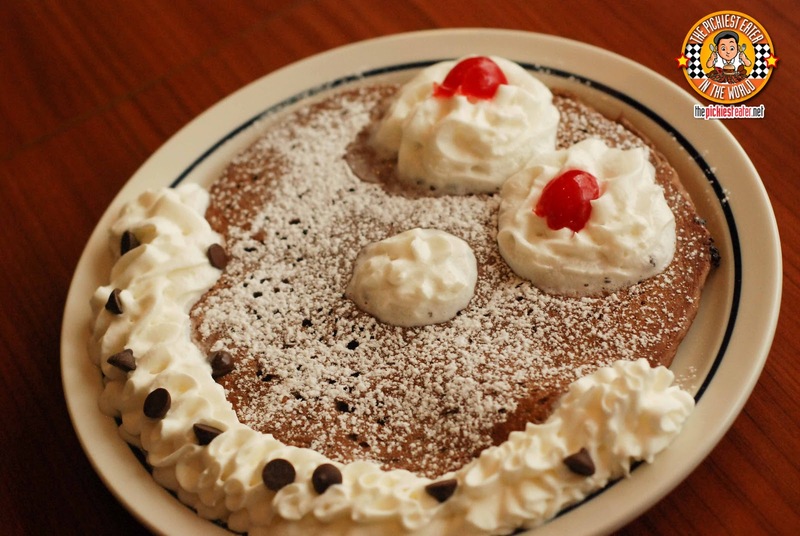 Are you ready for my IHOP Gift Certificate Valentine's Day Giveaway? One lucky reader is going to win P1,000 Worth of Gift Certificates from IHOP! I want to try the steak fajita quesadilla, turkey and bacon club sandwich and stuffed french toast! Well, the first thing that came to my mind when I saw IHOP was pancakes! But reading about and seeing the Stuffed French Toast with Blueberry Compote has got me drooling. Finally! I hope their pancakes and french toast taste the same! I'm drooling over the Stuffed French Toast Combo and Spinach and Mushroom Omelette... Looks so yummy!!! 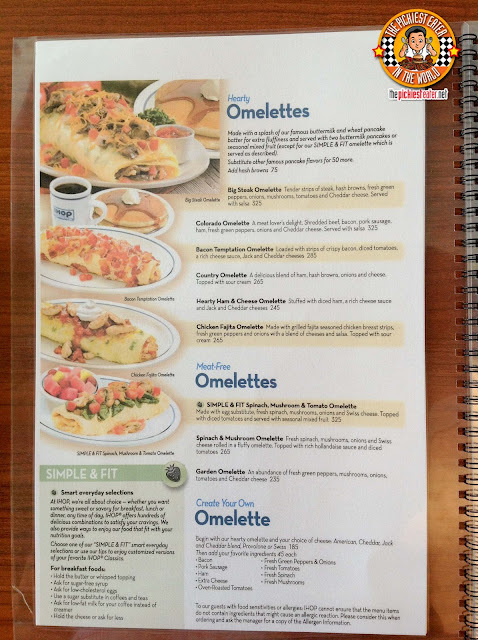 Of course I'd like to try all of their pancakes selection, although I have been looking for a decent omelette lately, so I'll probably order Funny Face with a side of the Spinach and Mushroom Omelette on my first visit. 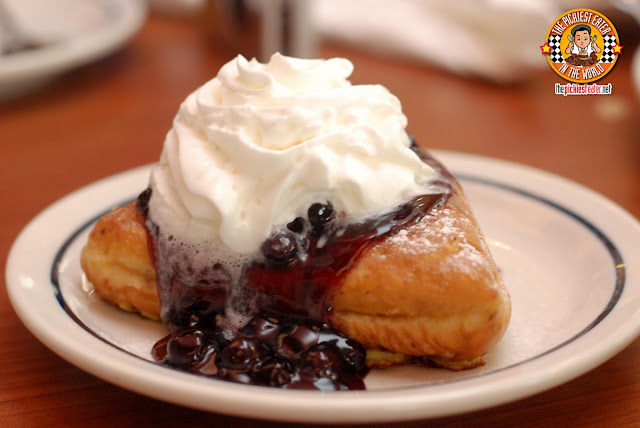 Gotta try that French Toast with Blueberry Compote! I'd like to try their Stuffed French Toast Combo! That is quite a platter they have there. Would like to try the whole wheat pancakes w/ blueberries, stuffed french toast combo, and simple & fit belgian waffles. 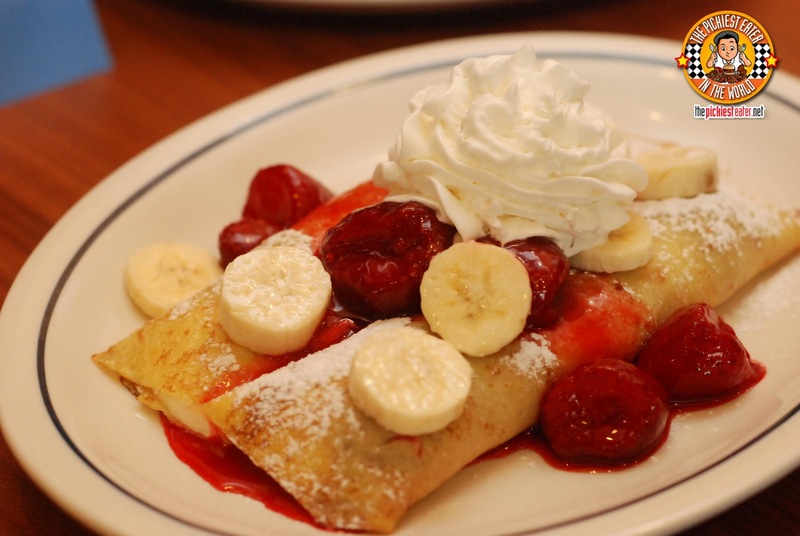 The Garden Stuffed Crepe looks really mouthwatering! I wonder how it tastes with the spinach. This is making me all giddy! I love French Toasts! Will definitely visit this asap! I want to try their omelettes and pancake dishes with my cousins! It is the BEST place to bond and catch up with one another! Food is mouth watering! I'd also like to try Spinach and Mushroom Omelette. Spinach and cheese are always a good combination and I'd like to try IHop's version! I'd take Rina's advice to get this even if the advice is for you and not for me, hehe! I want to try EVERYTHING!!! I would love to try Stuffed French Toast Combo. It looks awesome! 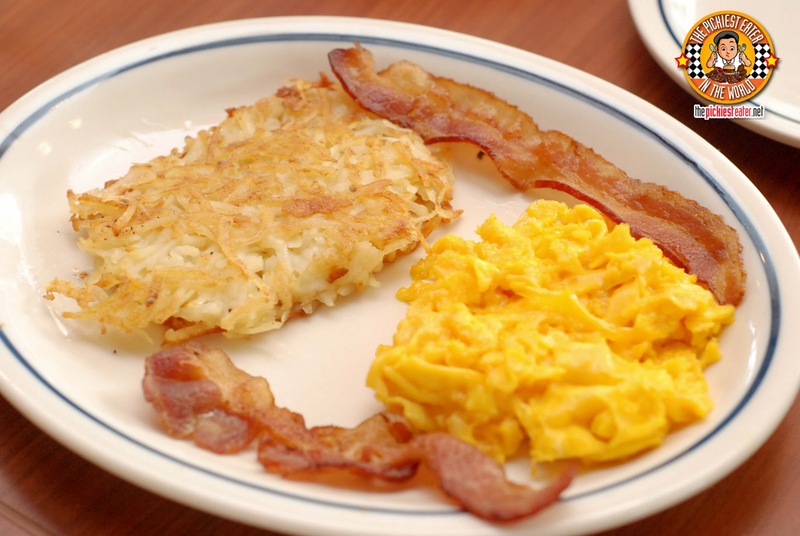 I want to try the Bacon and Cheddar Hash Brown Stack! I want to try their crepes! looks yummy! So excited to try New York Cheesecake, Funny Face and Philly Cheese Steak Stacker! Big Steak Omelette looks and sounds good! Im so excited to share the New York Cheesecake Pancakes and the breakfast steaks with my boyfriend, him and I share an obsession of eating breakfast and making it our comfort food anytime of the day... i hope you pick me, im a newbie in food blogging and you and miss rina are our inspiration... :) Btw Happy Valentines Day sir! im on a quest for the best pancakes in the philippines so id like to try the original pancakes first before anything else, and probably a couple burgers. I would love to try the Split Decision breakfast! I'd love to try the Stuffed French Toast Combo and the Spinach and Mushroom Omelette. They both look so mouth-watering!!! 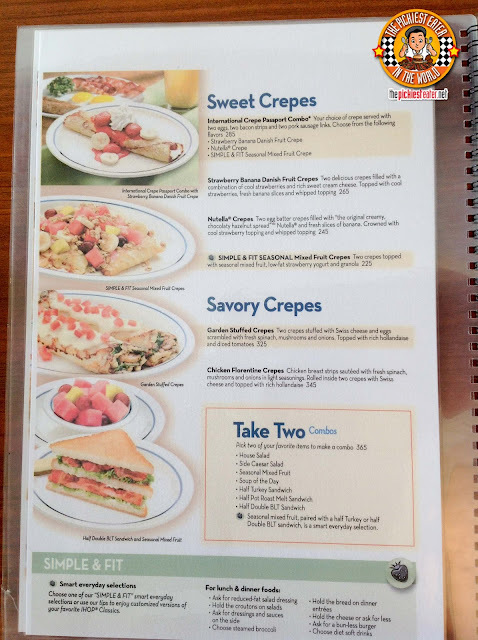 I would love to try New York Cheesecake Pancakes, Hearty Ham & Cheese Omelette, Strawberry Banana Danish Fruit Crepes, Garden Stuffed crepes and there's too many I'd love to try, win it or lose it i'll make sure to go IHOP, since it's very near my school. This place is perfect for a guy like me, who wants his breakfast for breakfast, for lunch, for dinner, and the occasional post-drinks meal. I want to try the crepes. It looks enticing. Aaah! 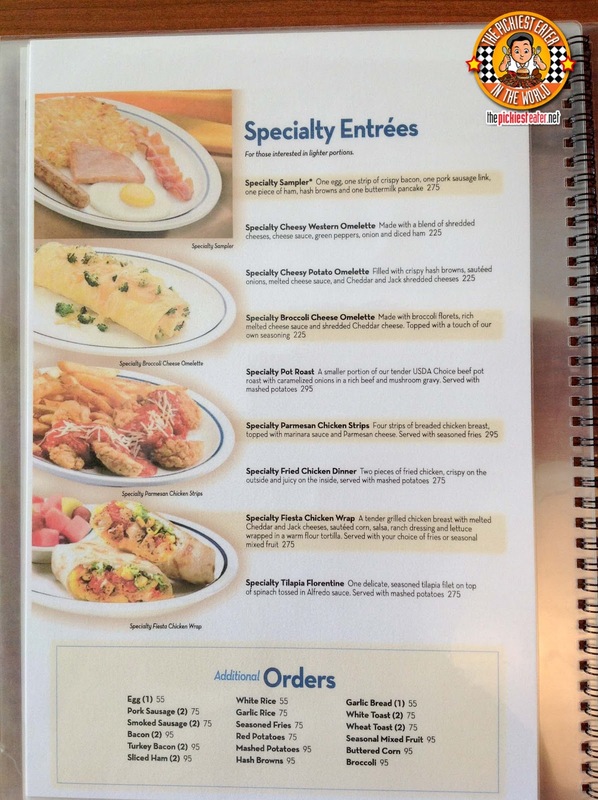 I'd love to taste the New York Cheesecake pancakes and the swiss cheddar hashbrown stack! 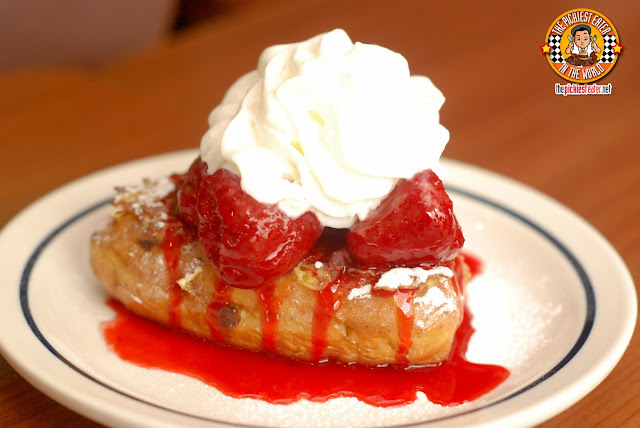 Stuffed French Toast Combo. Astig! the breakfast sampler looks awesome:) yummmmmmyyyyy!!! and i'd have to go and try their New York Cheesecake Pancakes...looks sooooo delish:)!!! thank you for a lovely Valentine's treat to your readers...get well soon! Thank you for the wonderful feature! Been waiting to try these again after dining in IHOP abroad! THANK GOD!!!! I've been waiting for them to open a branch here in the philippines! So happy!! finally! Split Decision Breakfast too! (and the list goes on). Clearly anything on their menu looks delicious! *Happy dance* We love breakfast places! My husband and I are dying to try out all their menu items (will surely be expensive but the GC will help make a dent of sorts on this goal :). We plan to go there either tomorrow night after work or first Saturday morning :D Pancakes and waffles are first on the list! I want to try the omelettes!!! I am most excited to try the New York Cheesecake Pancake, looks sooooo delish. The New York Cheesecake Pancake for me, please! The Big Steak Omelette is something I have been hankering for a long time. This dish is perfect for me. It gives the right amount of protein and carbs that I need to keep up with my active lifestyle and to help me start my day on a very good vibe. Can't wait to be reunited with this bangin' and awesome dish! I hope they also bring in the Superbowl menu from the U.S. during NFL Playoff season. They have some pretty good items as well on that menu. I would def wanna try the double blueberry pancake! New York Cheesecakes Pancakes and Double Blueberry Pancakes sounds interesting. And hey, I love blueberry cheesecakes! Strawberry Banana Danish Fruit Crepes will definitely be a must try for me. The Spinach and Mushroom Hash Brown Stack keeps me thinking is it good or really good! Want to try it! 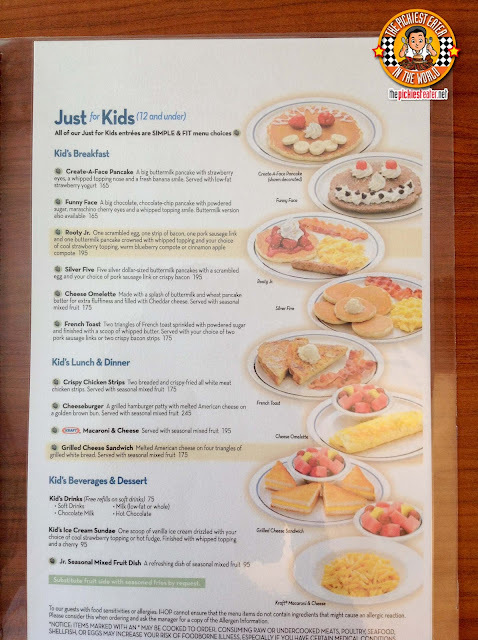 i'm not sure if i've followed the instructions correctly.haha i would love to try the Stuffed French Toast Combo and New York Cheesecake Pancakes. :P yumyum!!!! 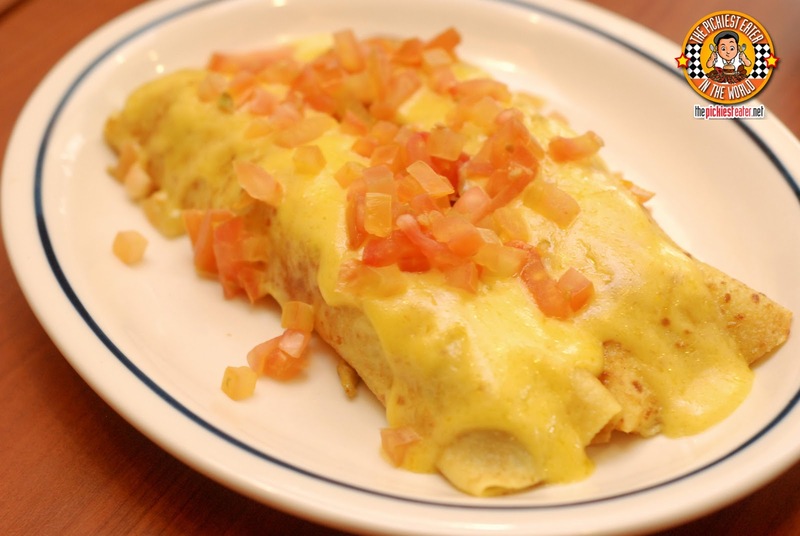 What dish are you excited to try from IHOP Philippines? Breakfast Sampler and Original Buttermilk Pancakes! I'll treat my Mom with Original Buttermilk Pancakes! Love you mom! I like to eat a chocolate chips. Create your own Viva La French toast combo and Country Fried Steak! i'll come for you!! I just wanna see if iHop here = iHop in the States. Pancake buffet would be guh-reat. Big Steak Omelette, Stuffed French Toast Combo or International Crepe Passport Combo! I want to try the Chicken and Waffles!!! And the New York Cheesecake Pancakes!!! Actually I really want to try all the waffles because there are so few good waffle places in the Philippines! I just like mine simple. I'll probably order plain waffles or classic pancakes and enjoy the different syrup they have to offer. 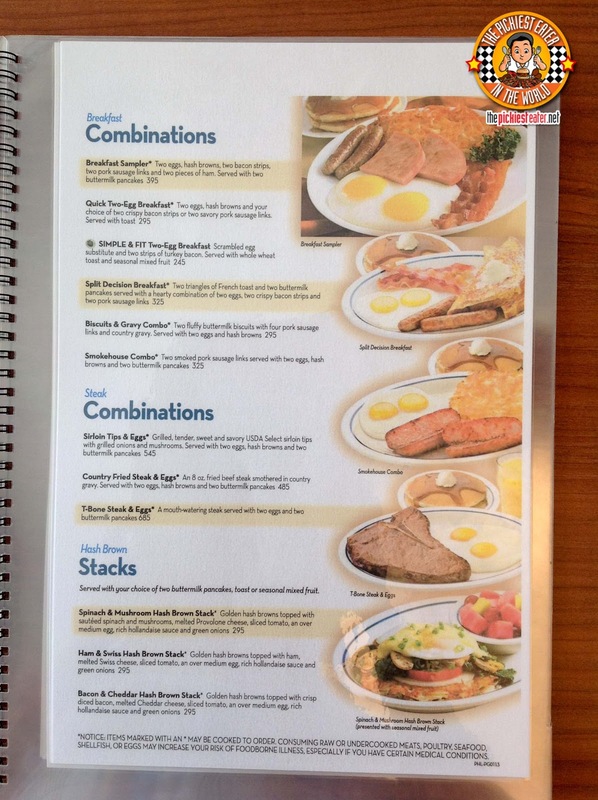 Since this will be my very 1st IHOP experience, I'm going for the Specialty Sampler. Perfect combination of savory & sweet. 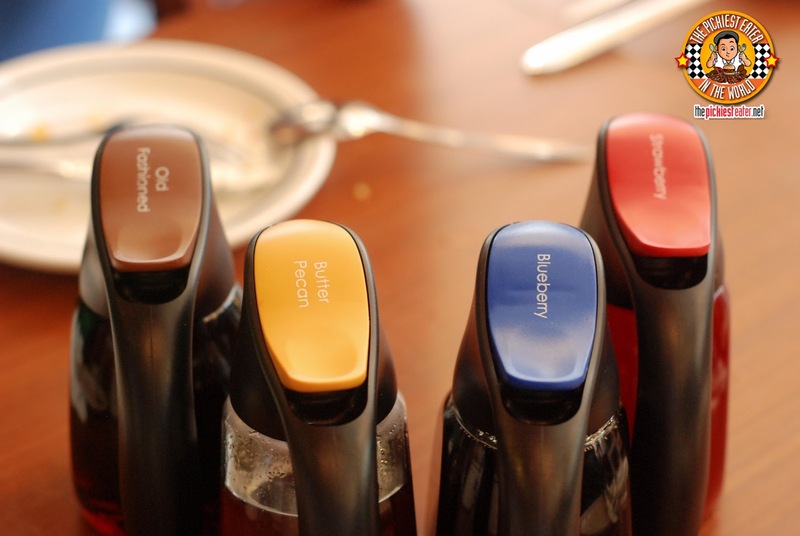 Oh, and all the syrups, heated! Hehe. Definitely the pancakes. Whatever the flavor may be, I don't care. I love pancakes! the Blueberry compote, New York Cheesecake Pancakes, and Stuffed French Toast Combo looks oh so yummy! Delish food indeed plus a good ambiance! This is a 5 star for me!! My stomach is now growling because of these photos, I am definitely famished! I'd love to try their mouth watering Cinn-a-stack pancakes and nutella crepe (everything actually) and I promise that they will definitely be in a good tummy. I'd wanna try their Philly Cheese Steak Stacker and Spinach, Mushroom and Tomato Omelette! My son will surely love to taste their Chicken Fajita Quesadilla! Everything looks delicious, I can't wait to try it out! 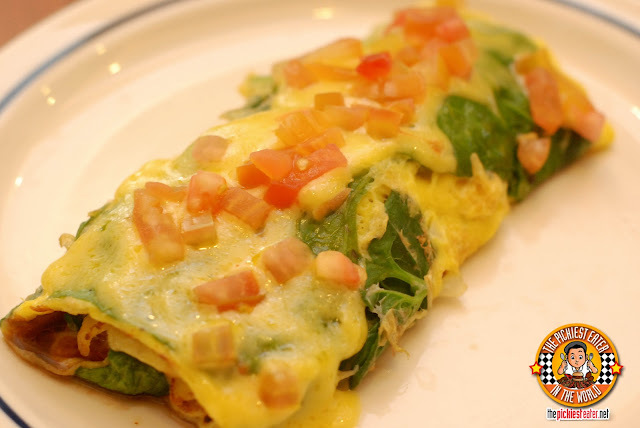 The Spinach and mushroom omelette looks heavenly!!! I like to some of that!and i think Stuffed French Toast Combo is also a must! yum! Please leave your name and Email Address as well! Strawberry Banana Danish Fruit Crepes really caught my eye!! I'd also want to take a bite on the big steak omelette! I'm sure my tummy will be very happy. We're headed there right after shift in a bit....drooling already!!! I plan to order the Bacon Temptation Omelette + Double Blueberry pancakes + Freshly Brewed Iced Tea! love to try their strawberry banana danish fruit crepes, the spinach-mushroom omelettes, and the new york cheesecake pancakes! I am very very excited to try the breakfast sampler - all of my favorite breakfast food in one meal! after that I will definitely make room for stuffed french toasts. waaaaah! going crazy ngayon pa lang! I'm just so inlove with the strawberry cheese pancake! I'd love to try their pancakes which actually are my kids favorite--any pancake would do since all looks yummy! 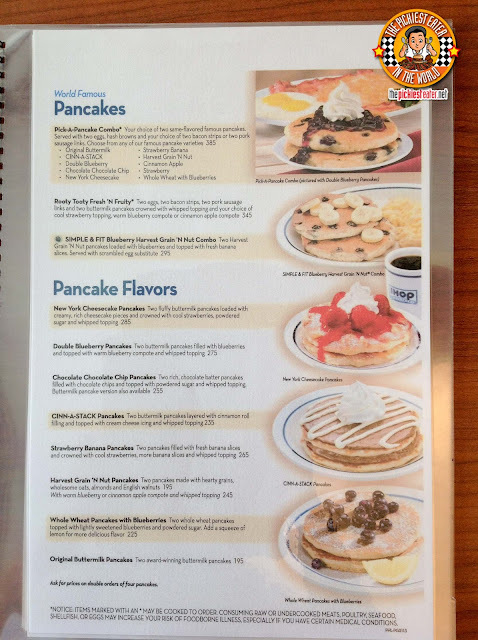 I want to try the Breakfast Sampler and New York Cheesecake Pancake! I'd really love to try the New York Cheesecake Pancake! 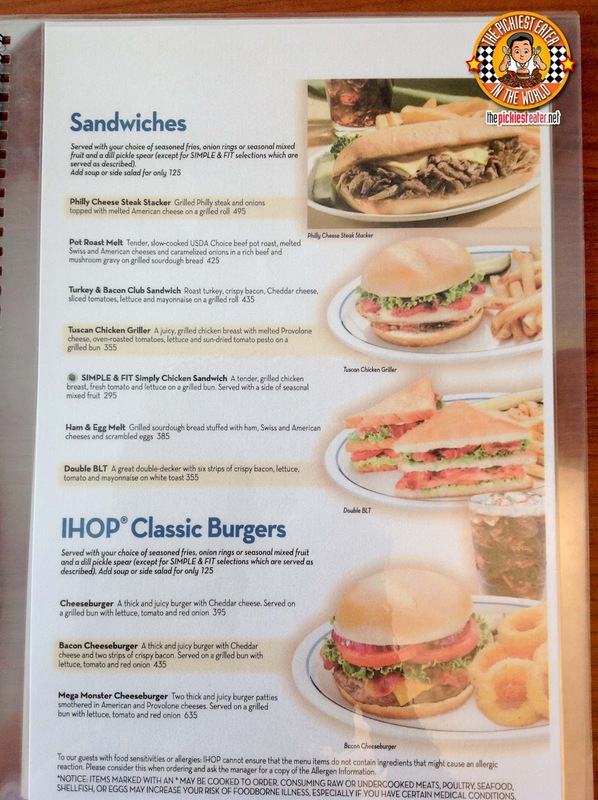 I am most excited to try the Spinach and Mushroom Omelette at IHOP! I'd love to try the Strawberry Banana pancakes!! 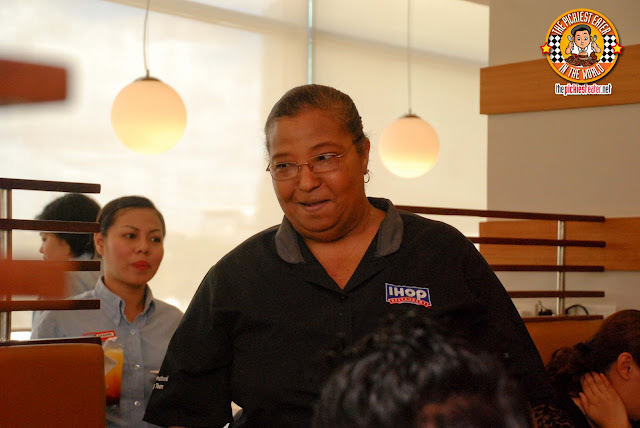 I want to try IHOP's Fried Chicken Dinner and New York Cheesecake Pancakes! if given a chance I would love to try their Strawberry Banana Danish Fruit Crepes. It looks awesome! I want to try to tates a tempura. I'm gonna make my little sister order the Funny Face from the Kids' Menu and I'm gonna be the one to eat it. I love strawberries so I'm really excited to try the Strawberry Banana Danish Fruit Crepes! BIG STEAK OMELETTE is on the top of my list! I would love to try Strawberry Banana Danish Fruit Crepes and Big Steak Omelette. can i try everything.they all looks so yummy! My favorite meal of the day is breakfast. I would love to try the New York Cheesecake Pancakes since I am inlove with Pancakes! 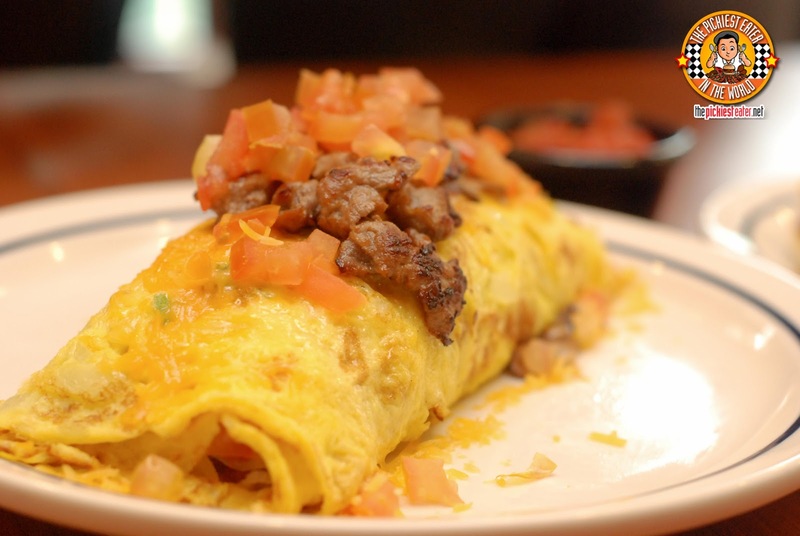 Big Steak Omelette is a must try for everyone! I LOVE to try and taste the Stuffed French Toast Combo because it looks like deliciouse and yummy! Like to try all their omelette because they all look so yummy. i want to try their New York Cheesecake Pancakes and Strawberry Banana Danish Fruit Crepes. I love pancakes and crepes! I'd love to try out create-a-face pancakes, i bet my kids will love them! I want to try the Big Steak Omelette!!! everything looks yummy!!!!! ihop is my first destination once lent is over! Bro. What happened? That fever must have been really bad. Hope it wasn't from too much bacon or too much excitement from the opening of IHOP. 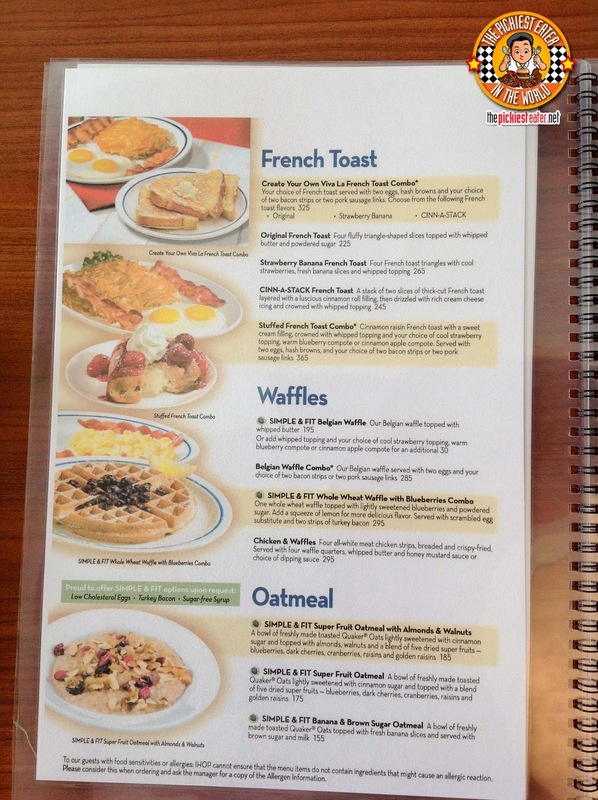 I want to try the Breakfast Sampler. I would love to try the Big Steak Omelette! 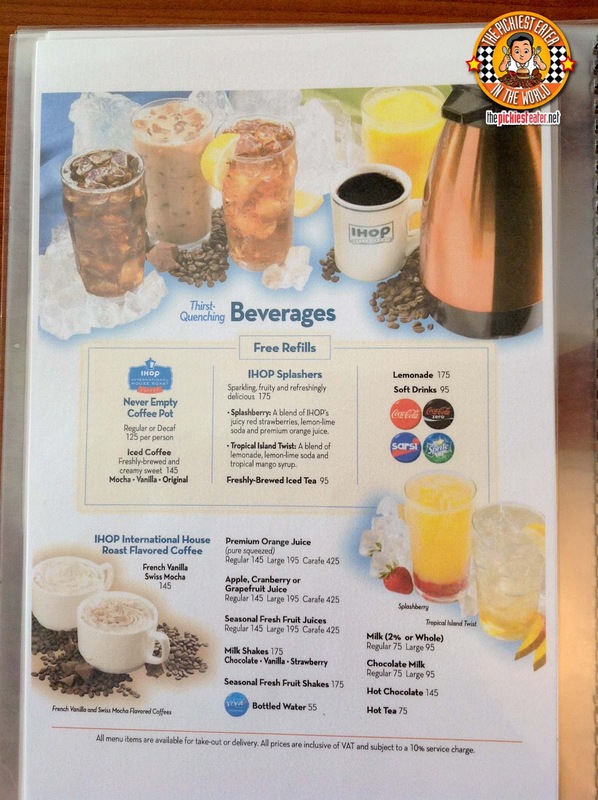 Would love to try CINN-A-STACK Pancakes, Stuffed french toast Combo, Nutella Crepes, Split decision breakfast and for the drinks, tropical island!! 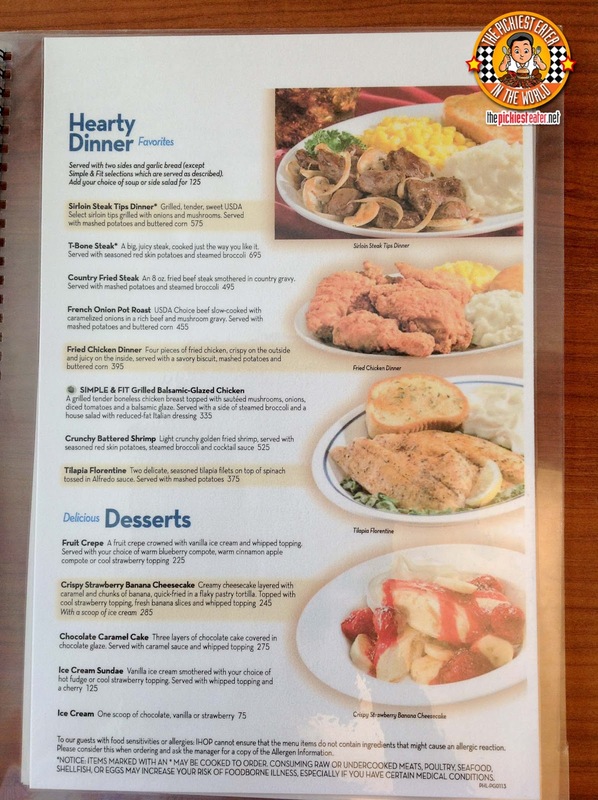 I'd like to try Sirloin Steak Tips Dinner and Crispy Strawberry Banana Cheesecake! I crave for strawberry banana danish crepes! I would like to try the Big Steak Omelette! I've tried their omelettes and pancakes back in the US. I would like to try the Monster Cheeseburger and Country Fried Steak. I want to try the New York Cheesecake Pancakes. definitely the Stuffed French Toast Combo with Warm Blueberry Compote and the Strawberry Banana Danish Fruit Crepse. looking at the menu, my mouth also waters at the sight of the words, "Double Blueberry Pancakes"
Breakfast! I'd love to try the New York Cheesecake Pancakes, Strawberry Banana Danish Fruit Crepes, and the Country Fried Steak & Eggs because I love me some steak and eggs! I'm excited to try their crepes and french toasts!!!! so yummy! Belgian waffles and breakfast platter for me! They have so many good dishes to choose from but corny as it sounds, I like to try their fried chicken dinner to compare it with Pancake's Pan Chicken. It's my go-to meal everytime I eat at pancake House and they never disappoint. If I were to come for breakfast, Id order the Stuffed French Toast Platter (strawberry) because it already comes with two eggs, hash browns, and bacon (sausage)! Yum! For dessert I'd order the International Crepe Passport Combo (strawberry & bananas). The best part is if I'm in a big group, I can try everyone else's dish in case there's a good discovery. yay! I would like to try Strawberry Banana Danish Fruit Crepes. The presentation from your picture looks good and I love to try the combination of strawberry and banana as well. New York Cheesecake Pancakes! It looks delicious! Sorry, not joining the contest. But since the subject is on breakfast, I hope you can also blog about SOUPS....yeah, i'm a soup fan, but I think very few restaurants are dedicated to serving SOUPS (I could only think of one: The Soup Kitchen). 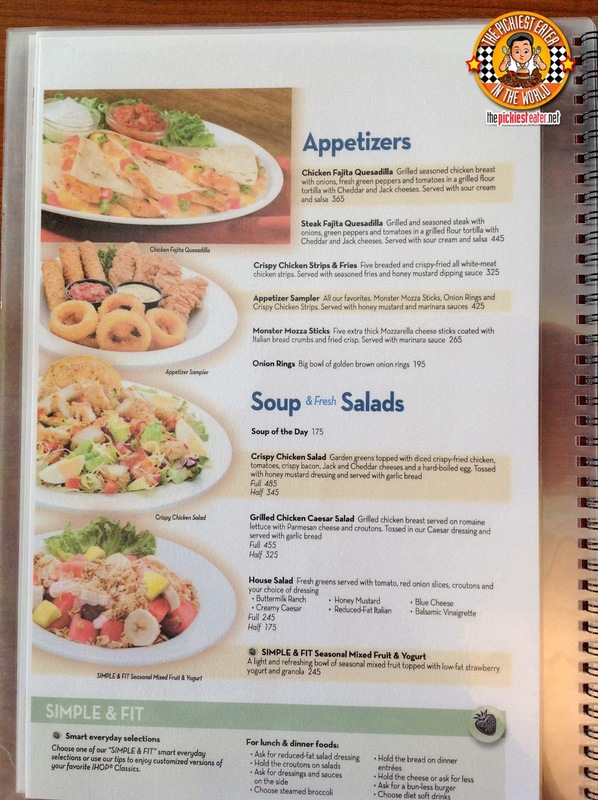 I noticed on IHOP menu, under Soup & Fresh Salad only "Soup of the Day" was listed (well, it did say SOUP, meaning singular). I like to try their Big steak Omellete! Funny Face looks funny so I'm going to try it! I'm excited to try the famous Rooty Tooty Fresh ‘N Fruity!